There was a time, not that long ago, when every resume began with the job seeker’s “objective,” which was always some variation on “to use my skills to advance in a great company.” Today, anyone who includes his or her objective is being foolish; the point of a resume is to respond to the job poster’s objectives, not yours! There was a time when resumes listed every function employees performed at every job they ever held. No more. Resumes are no longer the autobiography of a candidate’s career; they are marketing tools intended to articulate one’s value proposition to prospective employers. 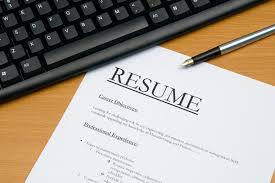 Resumes only get a few seconds’ initial consideration, so there needs to be a compelling narrative at the very top – your professional brand needs to come across so clearly that a recruiter or hiring manager immediately understands who you are and what you can do for the company. Skills are important; hobbies and other personal information are not. For many professionals, a personalized website is an excellent adjunct to their resume, allowing them to showcase their work in a digital portfolio. If you’re not on LinkedIn, you’re invisible to employers. Learn more about the importance of LinkedIn for your job search. Posting your resume on websites like Monster or Indeed isn’t the best strategy, and it’s certainly not the only strategy. You need a great LinkedIn profile with a well-written headline that allows you to come up in the search that recruiters perform when sourcing candidates. LinkedIn profiles should never simply repeat your resume; the site offers its members – including the non-paying members – rich resources that no resume can include. You can upload videos of your presentations, link to your personal website, as well as feature recommendations from people who know your work and are happy to share their positive feedback with others. I love writing LinkedIn profiles because it gives me the opportunity to make my clients come alive online. It’s difficult to express personality in a resume, but when I write your profile summary, I do it in the first person, as though you were introducing yourself during a phone interview. Learn more about how I’ll create your professional brand and articulate your value proposition in a new resume and LinkedIn profile.